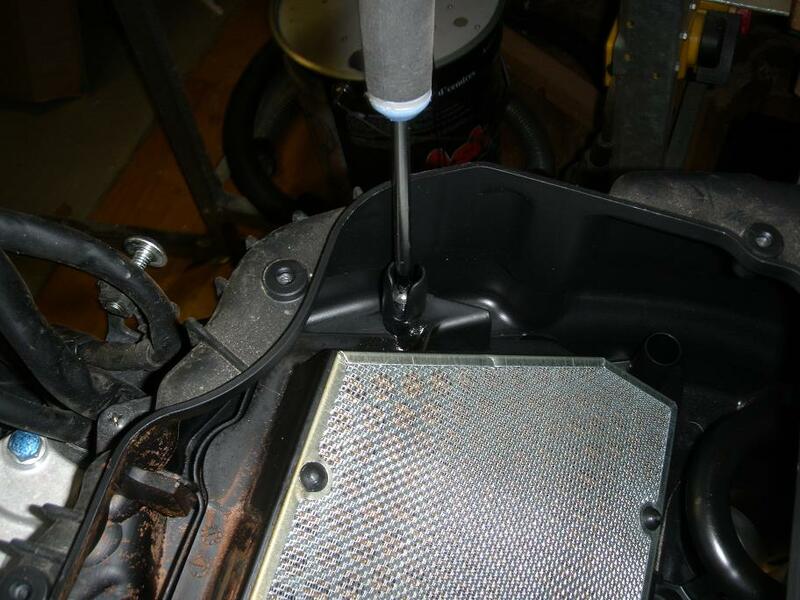 This Do It Yourself (DIY) article describes how to remove and reinstall the air cleaner housing on a 2008 CBR1000RR Honda Fireblade motorcycle. 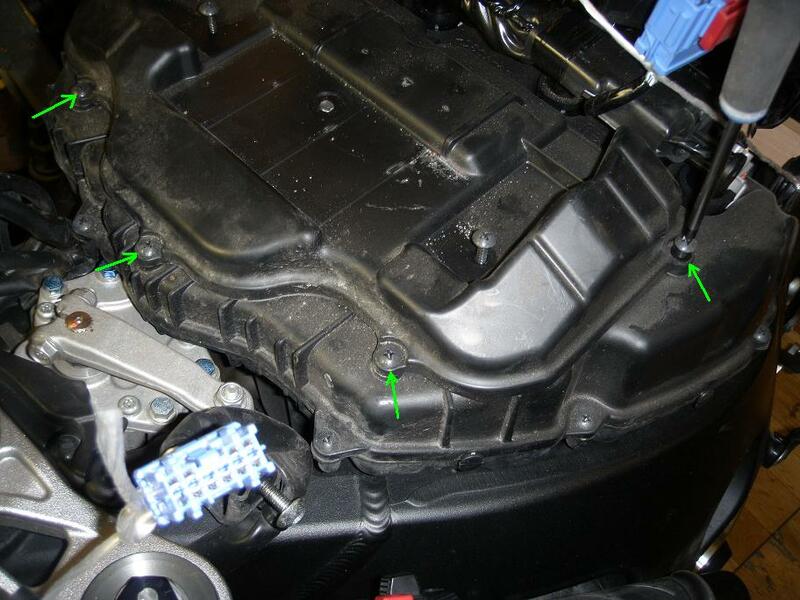 Release the air cleaner cover from the plastic tabs (green arrows below middle) and remove the cover. - Left handlebar switch, 10 pin blue (below middle and right). 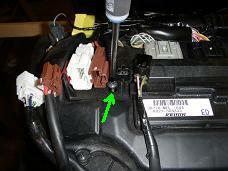 - Right handlebar switch, 8 pin white (below left). - Ignition switch, 2 pin brown (below middle). - Immobilizer receiver, 4 pin black (below right). 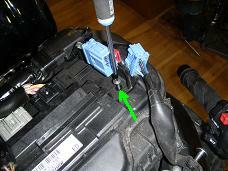 - Detach the blue left handlebar switch connector from its mounting bracket (below left). 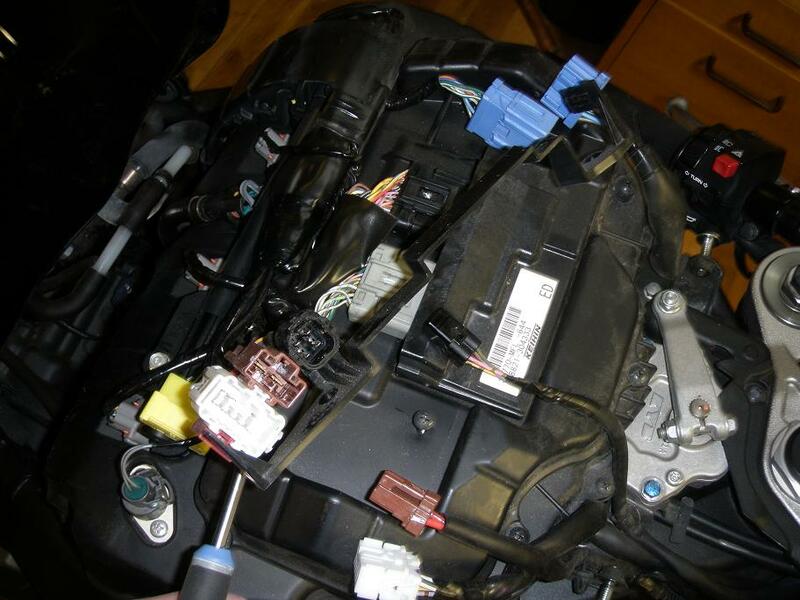 - Remove the two screws holding the plastic bracket (ECM Setting Plate) which fixates the Engine Control Module (below middle and right). 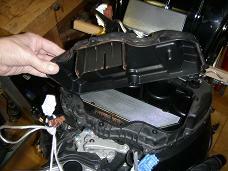 In the following be carefull not to stress or bend the harness too much. 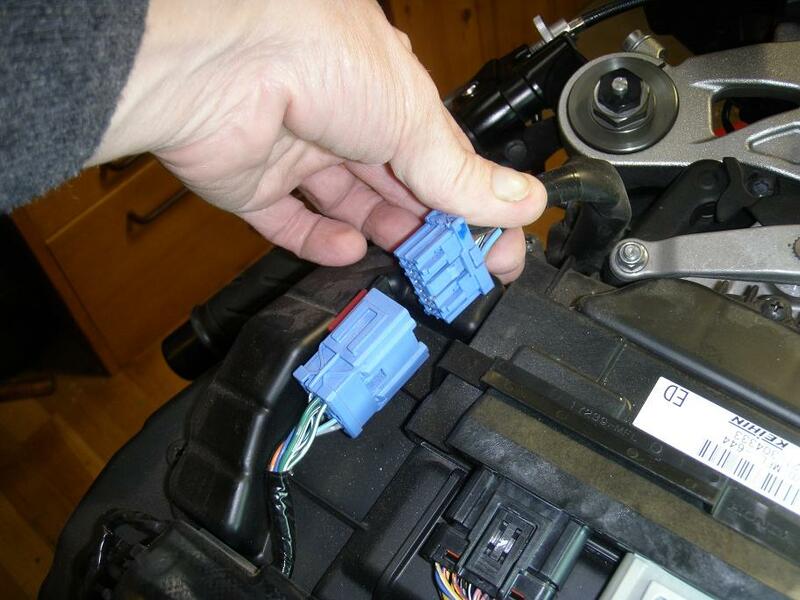 Further notice that the ECM connectores are not disconnected at all, as we do not want to have any problems with bad connections afterwards. 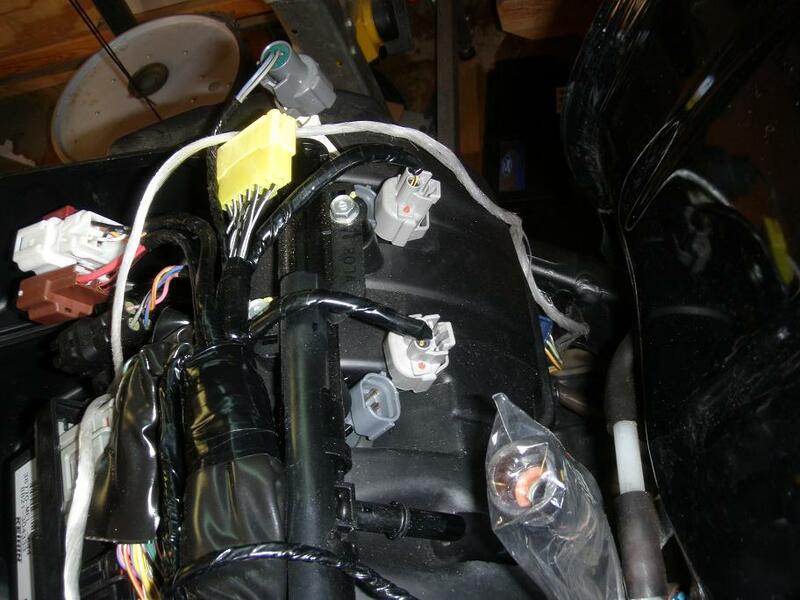 - Pull the setting plate with connectors and the harness up and rearwards. 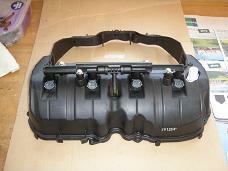 Also pull the ECM - still attached to the harness - up and rearwards. 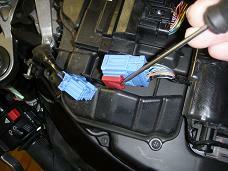 Then tie them up with a piese of string (below left to right). 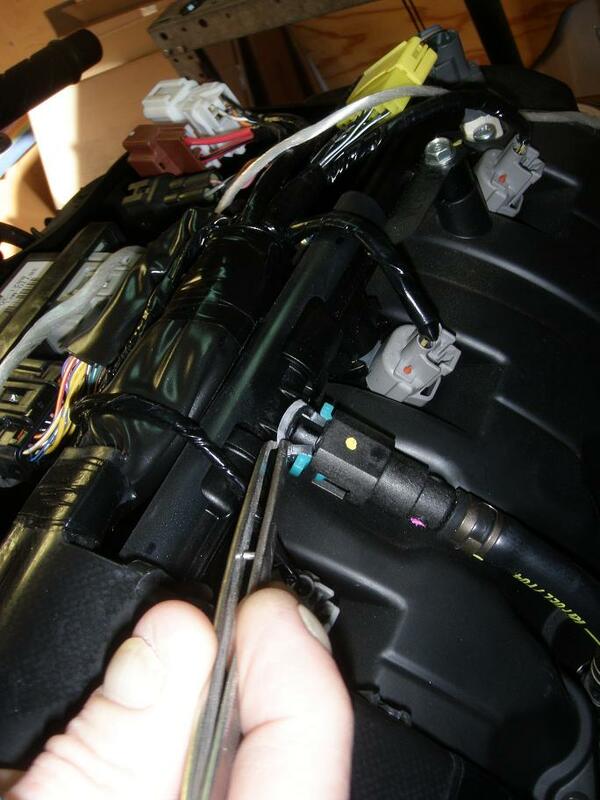 - Pull the front part of connectors and harness forward and tie them up with a string. You will now have easy access to the air cleaner housing upper cover (below right). Keep it clean from now on! 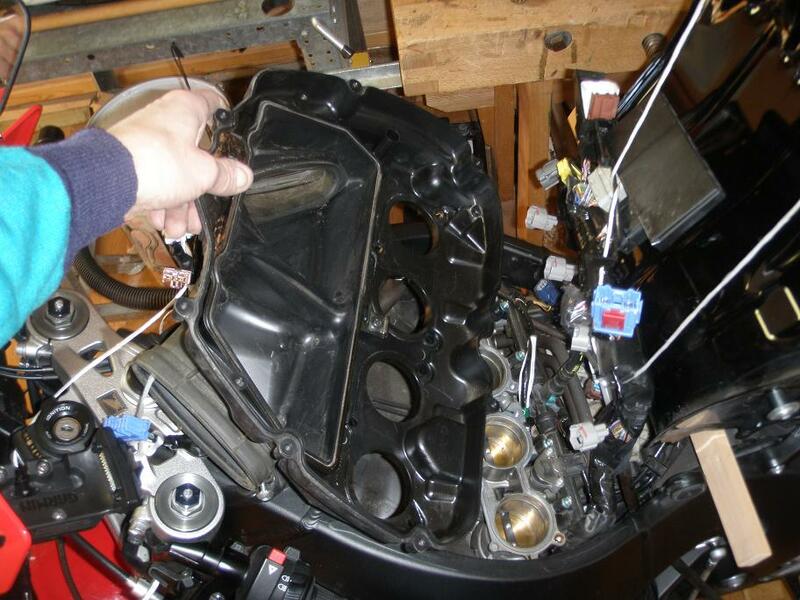 We will now be opening to the inside of the air cleaner with direct access to the inside of the engine. 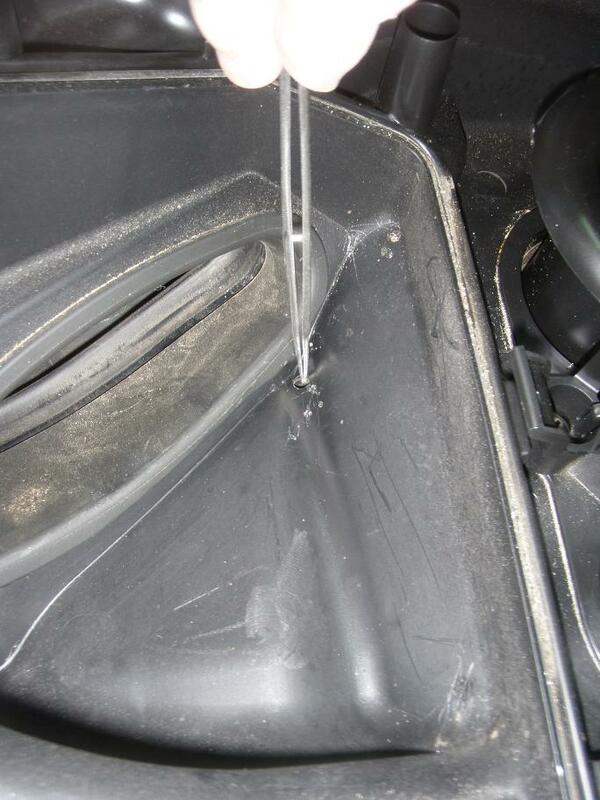 - Use a vacuum cleaner and brush to clean away any loose dirt particles on the outside of the air cleaner. 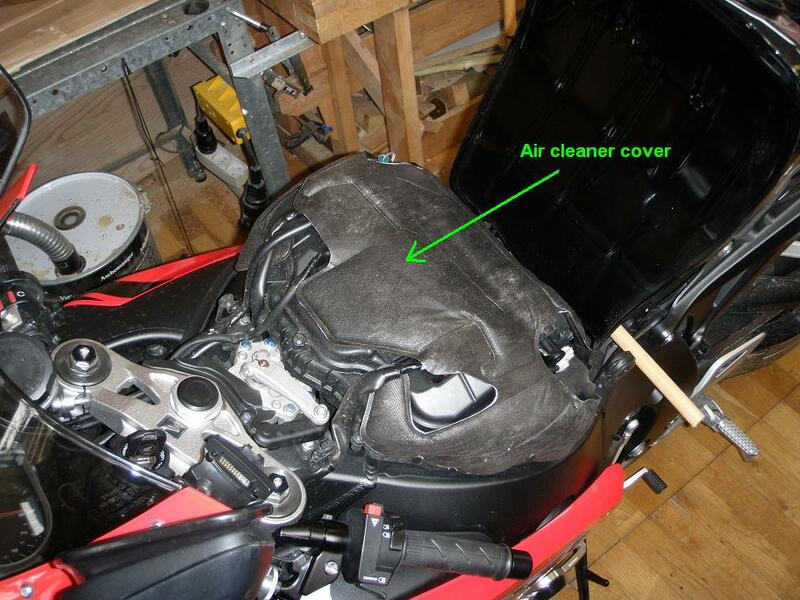 Be very carefull not to drop anything into the engine, and cover the area with a towel when you take a pause or leave the bike. 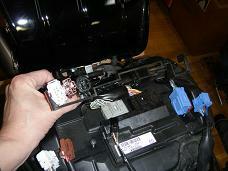 - Unscrew the six screws holding the air cleaner housing upper cover (below left) and remove the cover (below middle). 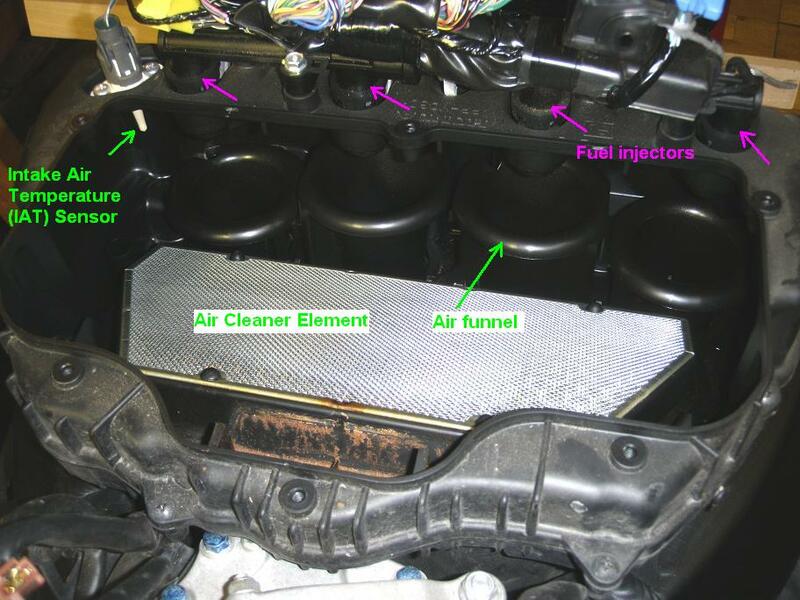 You are now able to see the inside of the air cleaner. Take a moment to enjoy the elegant design with the fuel injectors hanging directly over each of the four air funnels (below right). 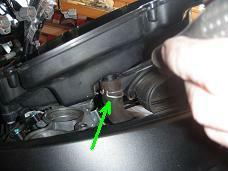 - Loosen the two screws (one in each side) holding the air cleaner element in place and remove the element, while taking care not to drop anything into one of the four air funnels (below left). 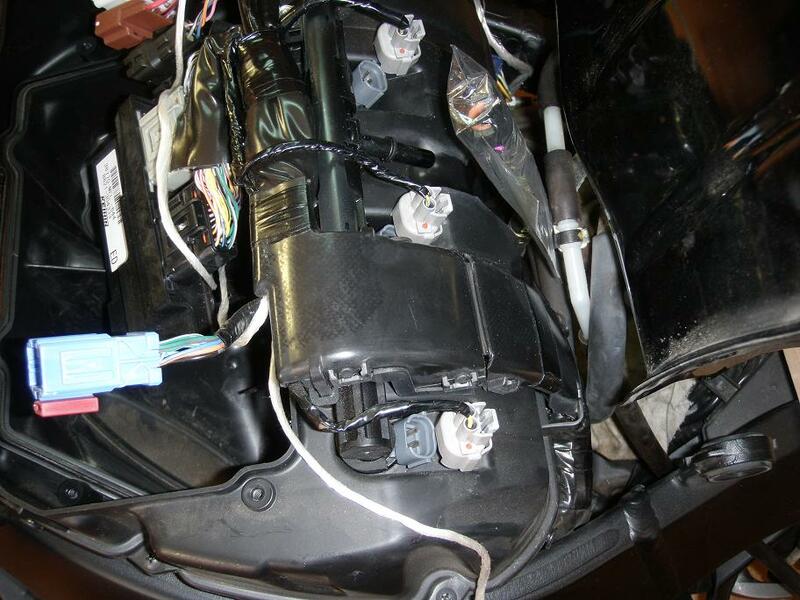 - You will now be able to see the lower compartment of the air cleaner housing with a RAM air inlet in both sides. 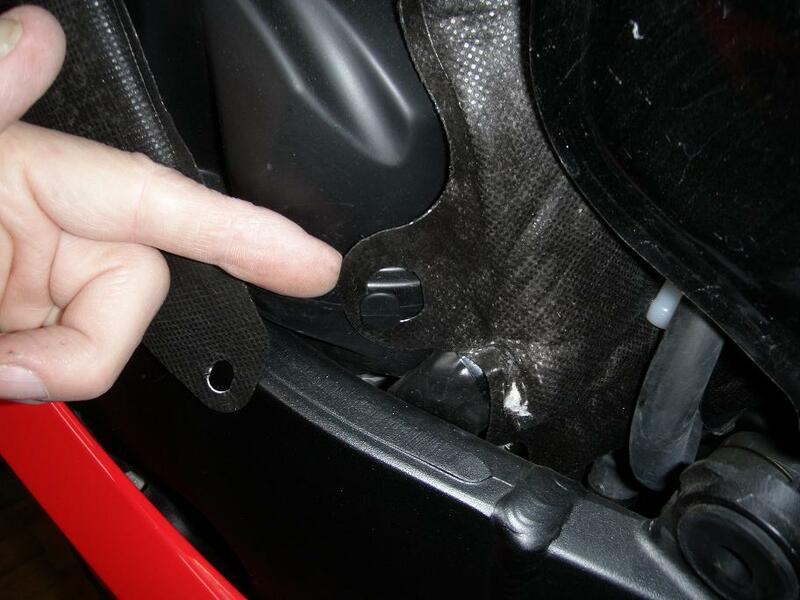 You will most likely find all sorts of debris which has found its way through the inlets, so clean it carefully scraping off debris and vacuum clean thoroughly. Also make sure the small drain hole in each side is free from drebris. 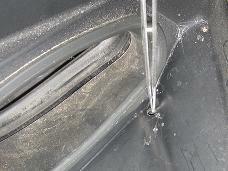 I had to use a pair of tweezers to get the small gravel particles out (below right). 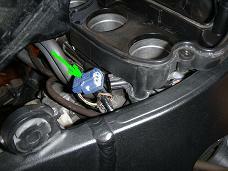 - Gently blow the filter inside the air cleaner element clean using compressed air from the throttle body side (i.e. 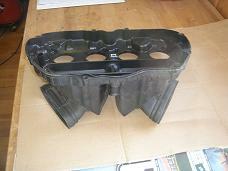 from the upper side). 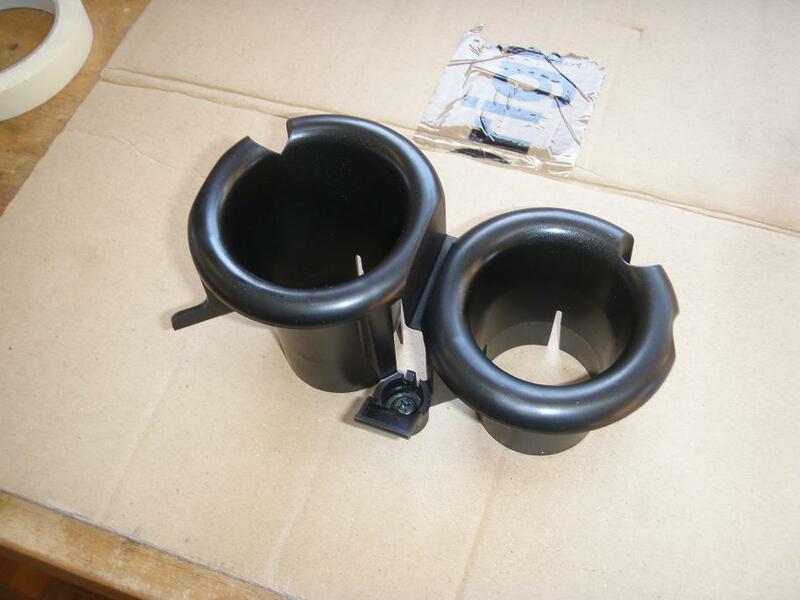 If the filter is damaged or excessively dirty, it is time to order a replacement air cleaner element. 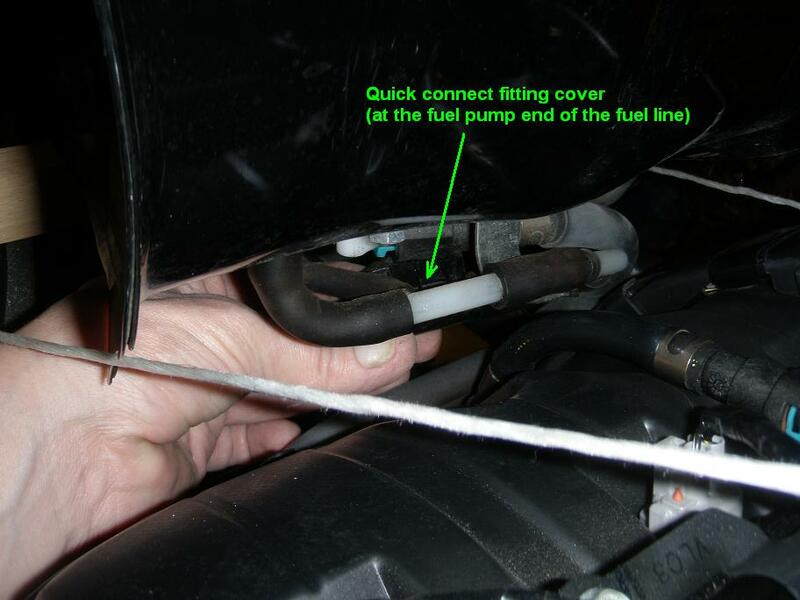 - Remove the quick connect fitting cover from the fuel pump end of the fuel line (below left). It is a little black plastic cover as shown below middle, and is hidden behind all the other tubes and hoses, so I could not get a good picture of it in it's correct position, so you must use your eyes to see and your fingers to feel here :-). 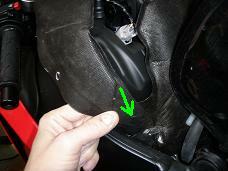 Reach in with left hand when standing on the right side of the bike and simply peel it off. 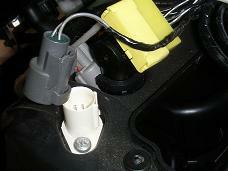 - Disconnect the fuel pump 2 pin brown connector (below right). Reach in from the left side of the bike and squeze hard on the connector and it can be pulled off quite easy. 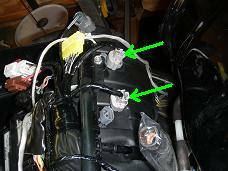 - Reconnect the right side connectors (white, brown and black) which were disconnected in previous section 3.2. 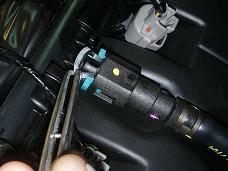 - Turn ignition on (notice that there is no sound from the fuel pump as we have diconnected it). - Start the engine and let it idle a few moments untill it stalls. 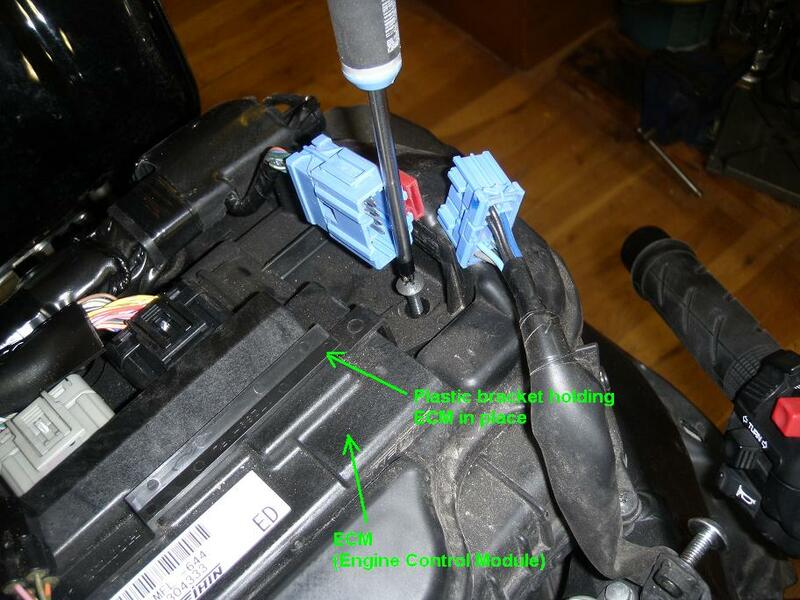 - Disconnect right side connectors. The flexible fuel line comming up from under the tank is connected to the upper fuel rail joint with a so-called quick connect fitting as shown in the image below left (click on the image to see further details). 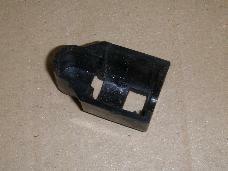 A small piece of rubber - called a rubber cap - acts as a locking device, which ensures that the joint will not accidentially spring open. 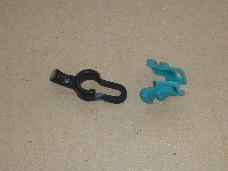 A small piece of cyan collored plastic - called a retainer - has two locking pawls which graps into two holes in the connector. 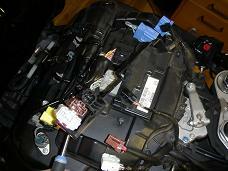 - Clean all the components in this area with soft cloths and compressed air. Gasoline molecules are small and may leek through even very small scratches in the critical areas of the quick connect fitting, so be very carefull not to make scratches or leave dirt on these parts. 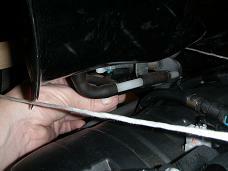 - Place a cloth under the joint, as a few ml can be expected to spill out. 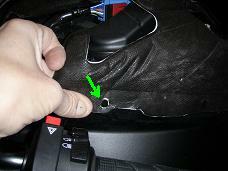 - Pull and release the rubber cap from the joint, while carefully using your eyes to see exactly how it was placed. 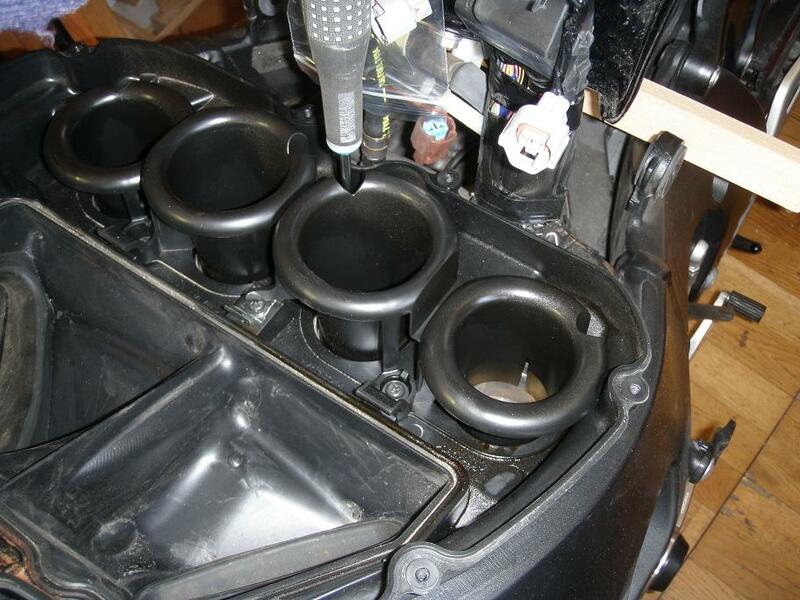 I used a pair of twezers as shown in the image below middle for this job. - With your fingers only, squeeze the retainer taps to unlock the powls and gently pull the connector off the fuel joint tube. If it has dificulty comming off, work it back and forth untill it comes off. Some fuel will drip out and should be collected in the cloth you placed under the joint. 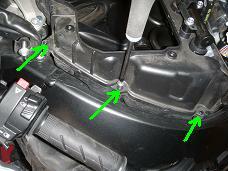 - Remove the retainer and the rubber cap from the joint tube and bag them (below left). 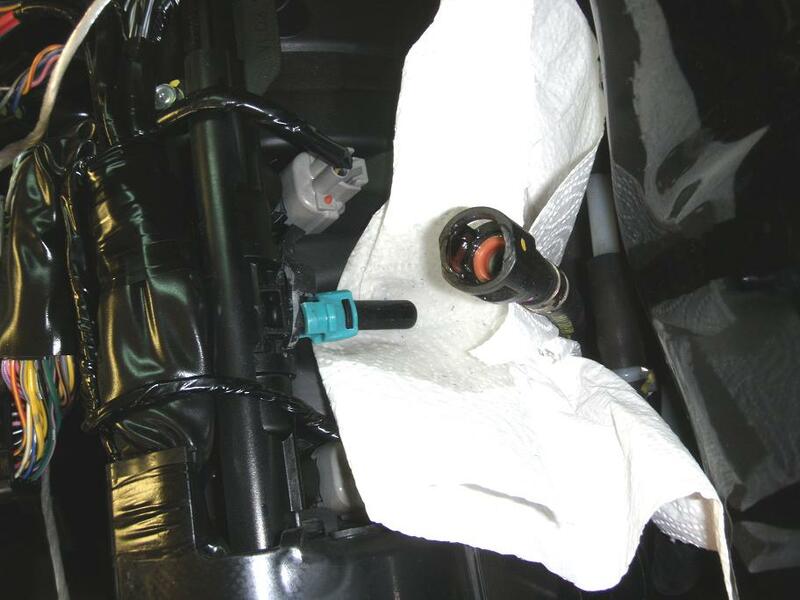 - Place a small plastic bag over the end of the fuel line connector, so it is well protected against mechanical damage and dirt (below right). - Disconnect the grey 2 pin connector for the Input Air Temperature (IAT) sensor (below middle). 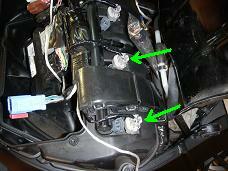 - Tie the ECM and harness up and out of the way as shown below right. 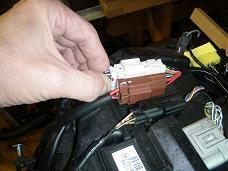 - Remove the 8 screws holding the middle housing of the air cleaner (below left). - Remove the air cleaner middle housing and attach a soft protecive cover over the fuel joint (below middle and right). 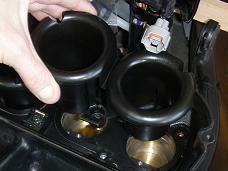 - On both sides, loosen the air funnel screws and remove the air funnel (images below). - Disconnect the Manifold Absolute Pressure (MAP) sensor 3 pin blue connector at the rear right corner of the air cleaner lower housing (below left). 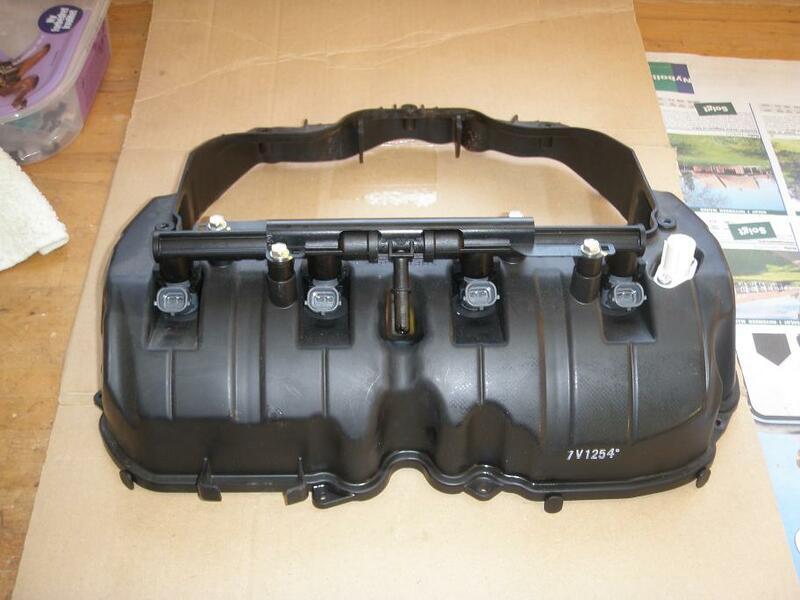 - Lift the front end of the lower housing a few cm up and disconnect the cranckcase breather hose (below middle and right). I used a pair of pliers to squeze on the clamp and wriggle the clamp a couple of cm down. 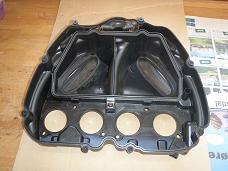 - Remove the air cleaner lower housing (below left to right). The image below presents an overview of the engine top with the air cleaner removed. - Place a cloth over the air intakes and clean the entire area thoroughly. 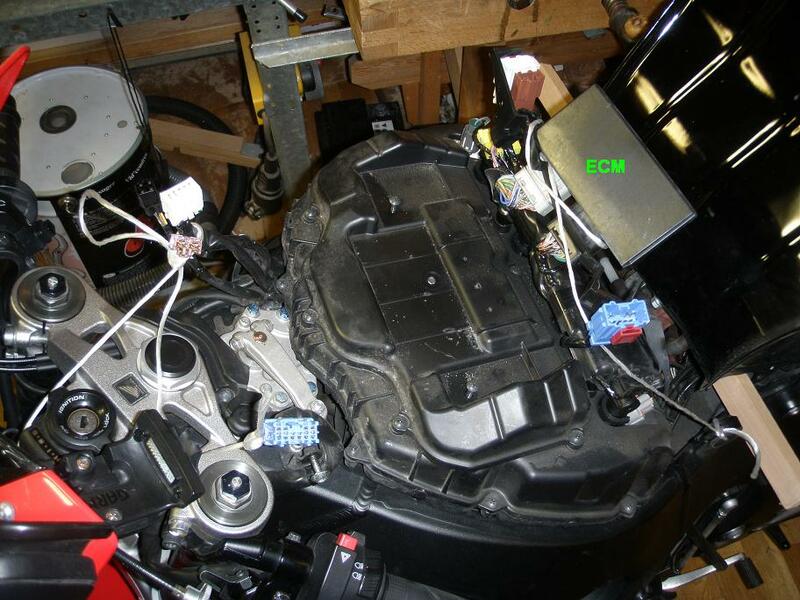 Installation procedure is same as removal procedure in reversed order and with exceptions as described in the referenced DIY articles and in the overview here below. 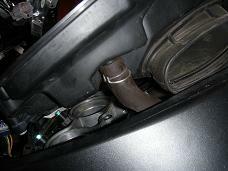 - Remove the cloth over the air intakes. - Place the lower air cleaner housing over the engine and bring it down partly into position. 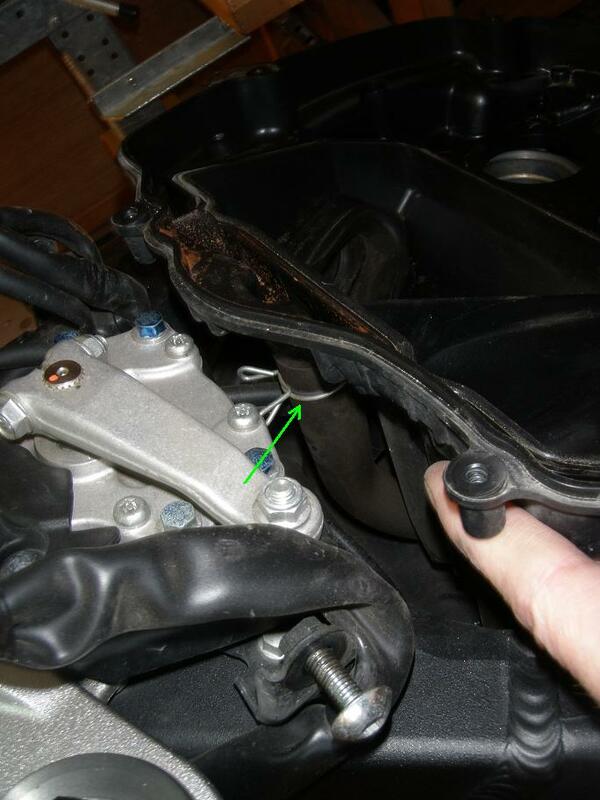 - Press the cranck case breather hose onto the front middle stud. 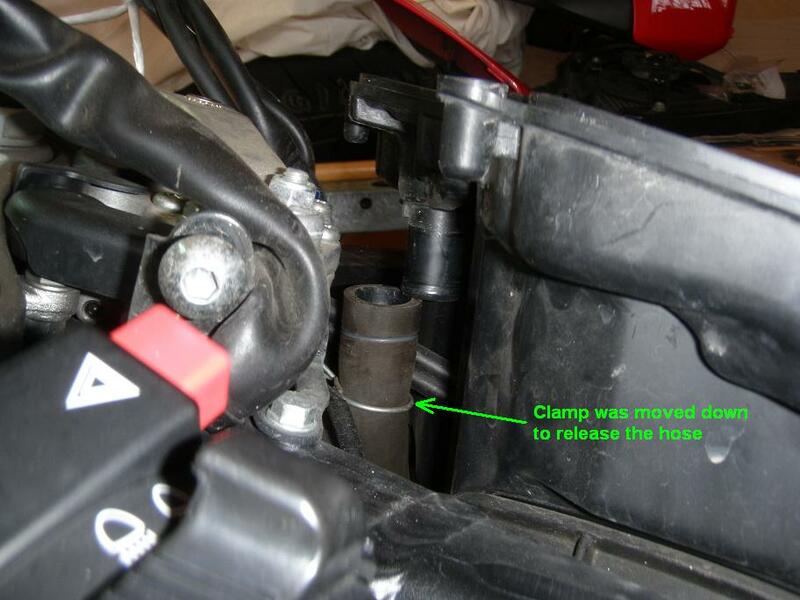 and place the clamp correctly. 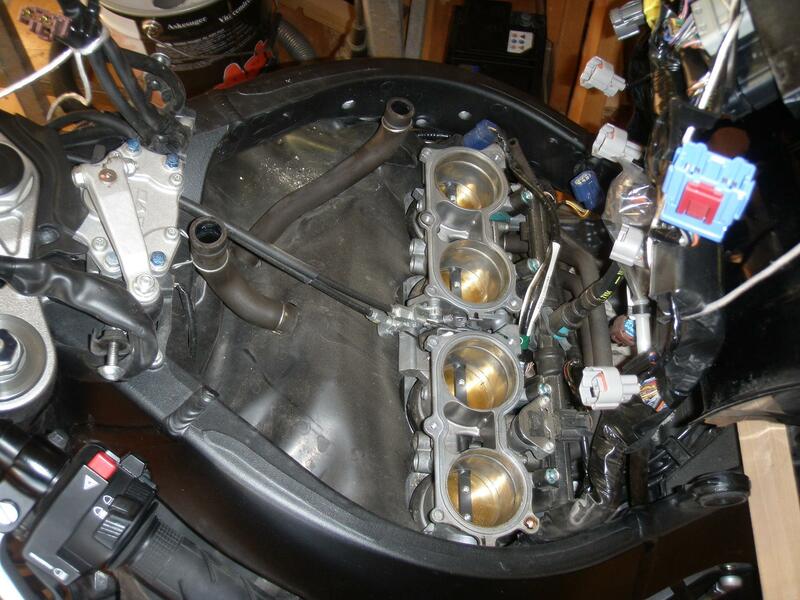 This is slightly difficult due to limited space. 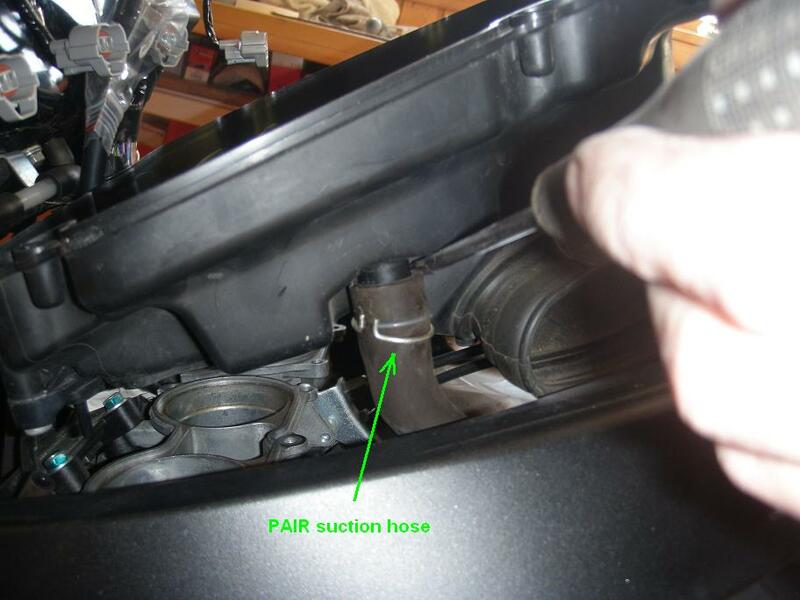 - Remount the PAIR air suction hose and its clamp. 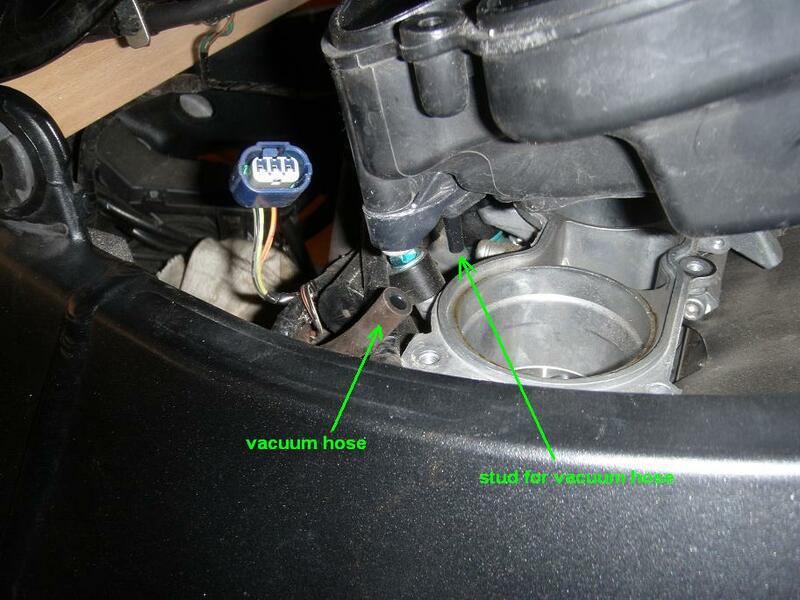 - Remount the vacuum hose on the rear right bottom stud. - Reconnect the 3 pin blue MAP sensor connector. 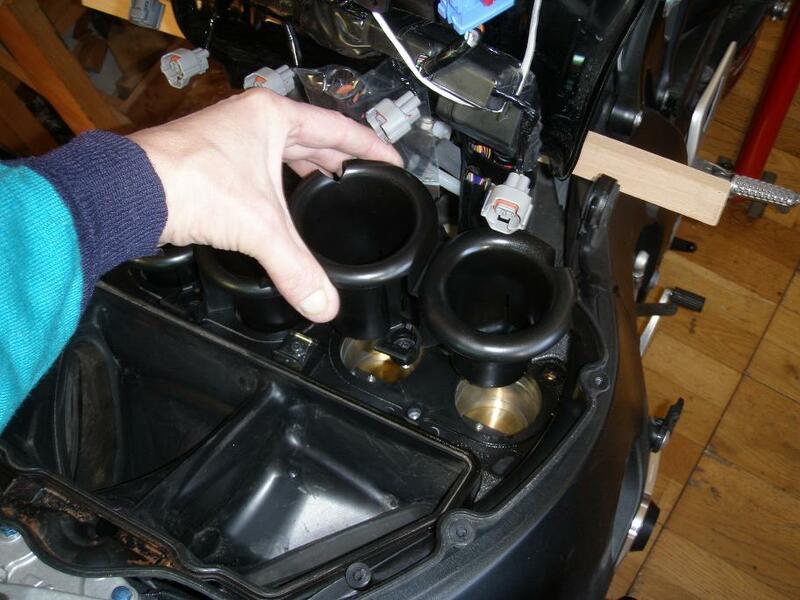 - Remount the air funnels. 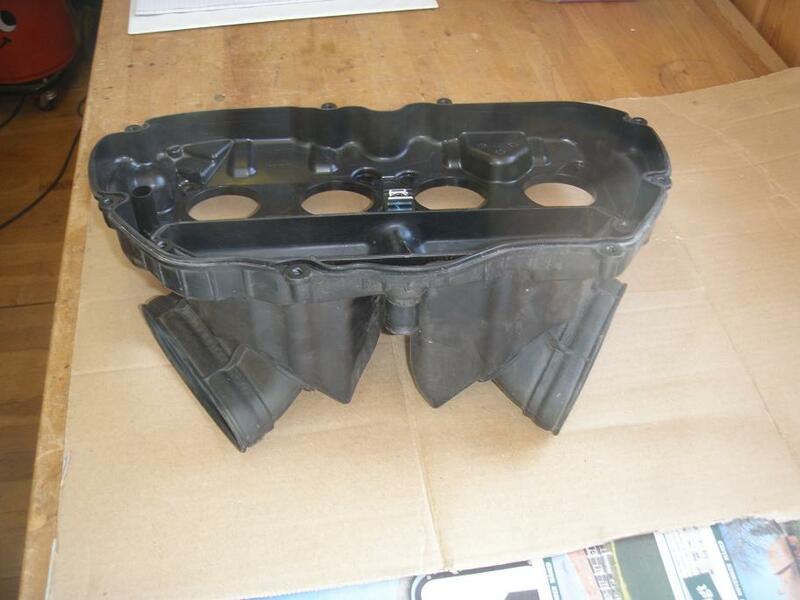 - Remount the middle housing and tighten the 8 screws to 0.8 Nm. 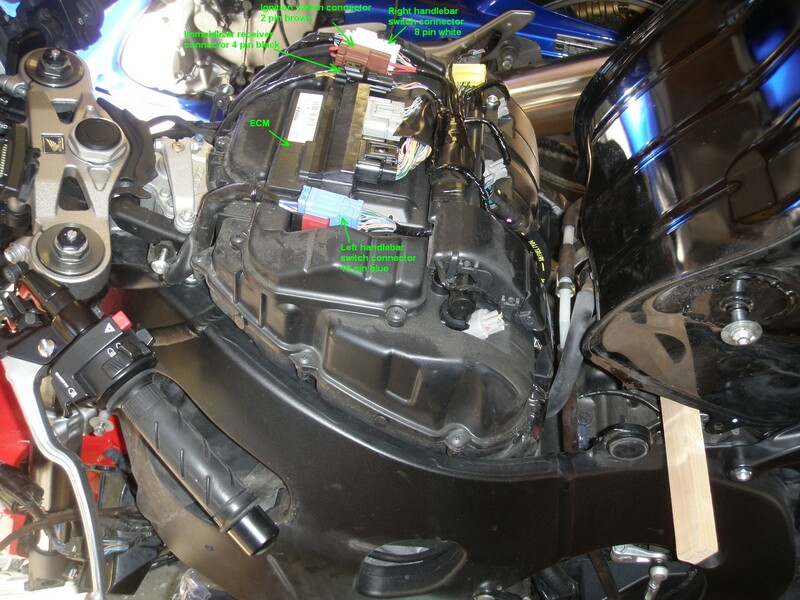 - Connect the 4 secondary injectors and the IAT sensor 2 pin grey connector. According to the Honda Shop Manual you should always use a new retainer, but I really do not see the need for this. The retainer seems to be pretty robust and it is not part of the sealing mechanism. 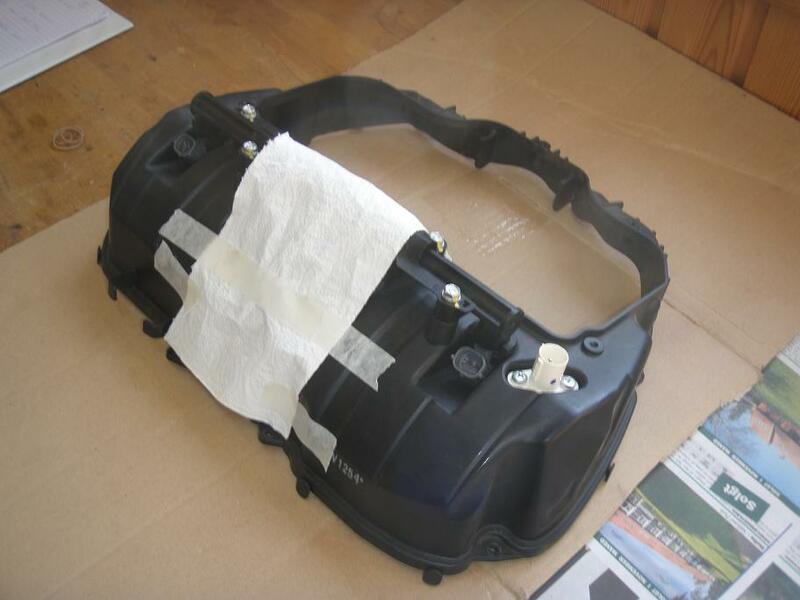 It's only purpose is to keep the parts locked together, so I reused the old one. 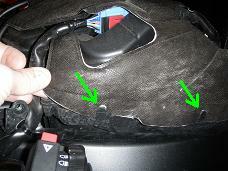 If the rubber cap is damaged it should off course be replaced. 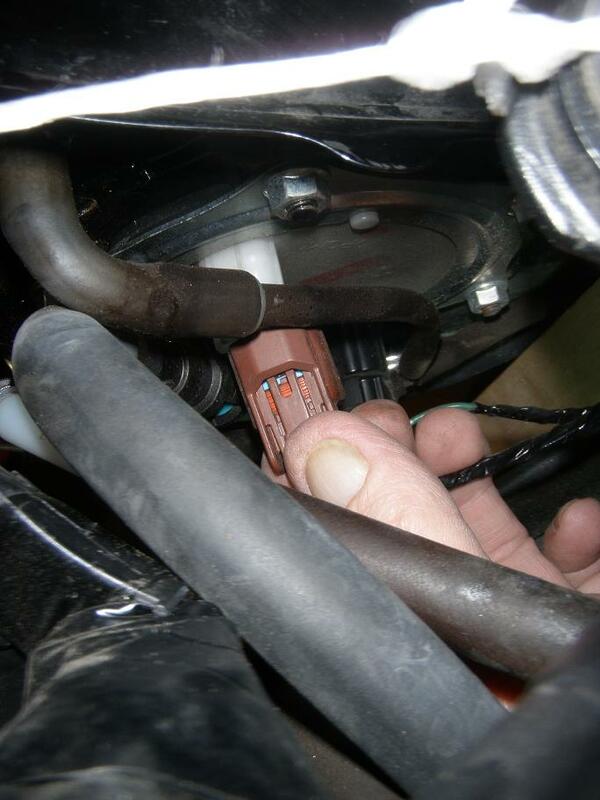 Insert the retainer into the black connector on the fuel line. 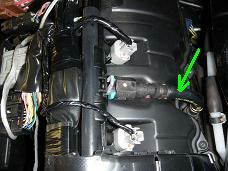 Place the rubber cap on the black pipe on the secondary fuel rail. 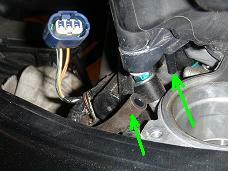 Make sure to turn it as shown on the image at left. 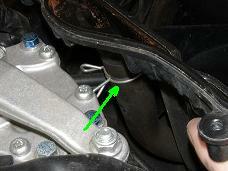 Smear a drop of engine oil on the pipe end and allign the retainer locking pawls with the groves in the connector. 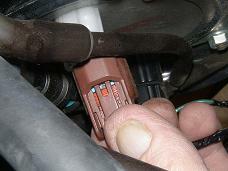 Then press the connector onto the pipe. You should hear clicks from the retainer pawls when they settle into the connector groves. 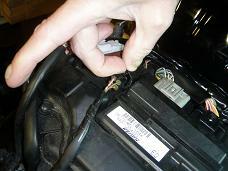 Inspect thoroughly and pull to check that they have locked correctly. Also check that the rubber cap has settled correctly in place between the flange and the retainer tab. 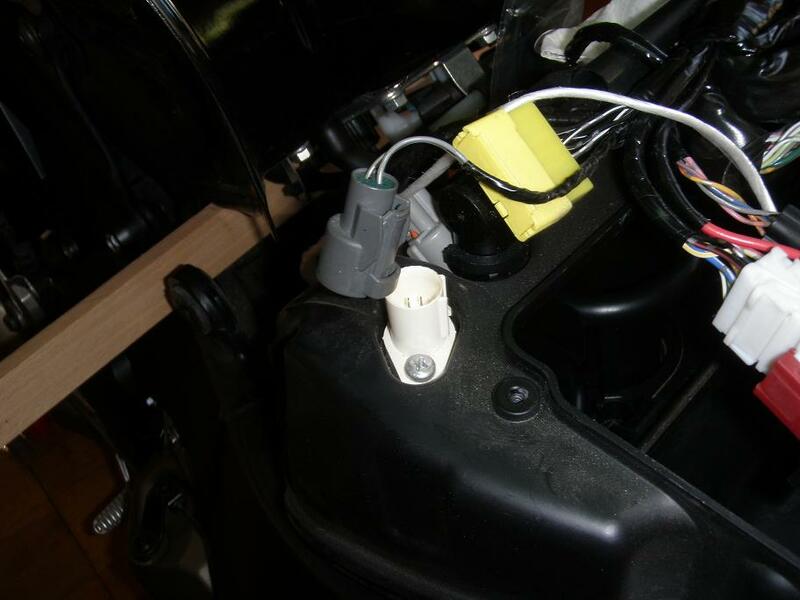 - Connect the fuel pump 2 pin brown connector and mount the quick connect fitting cover at the fuel pump end of the fuel hose. 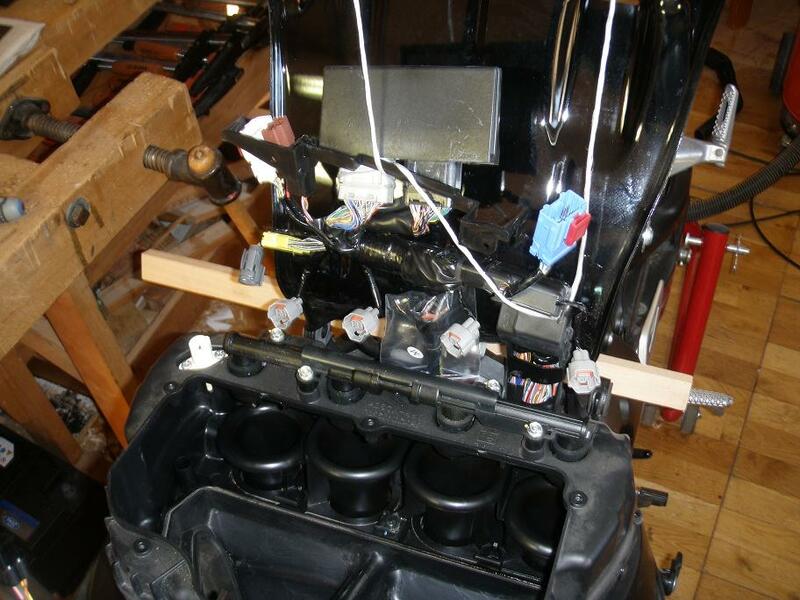 - Turn on the ignition and the engine stop switch. 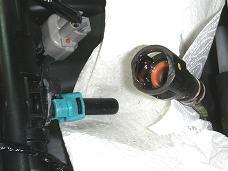 You should now hear the fuel pump operate for about 2 seconds. 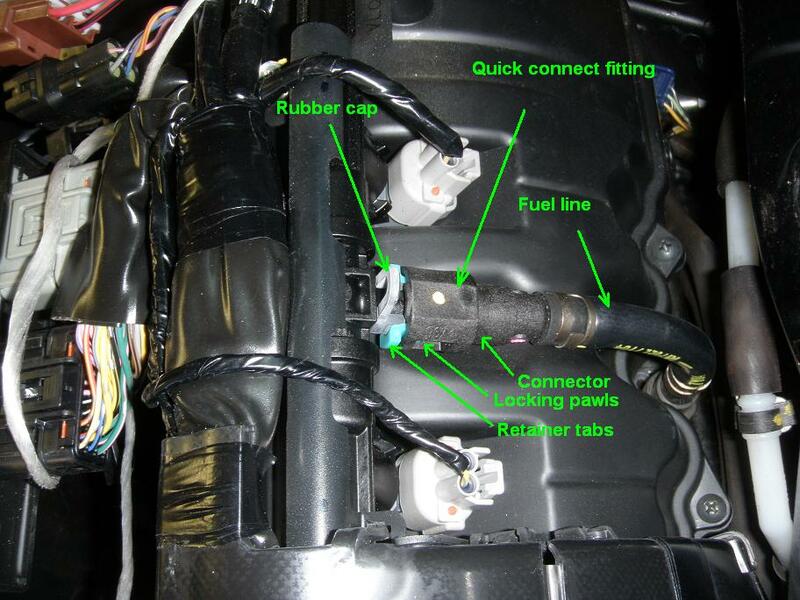 - Inspect for fuel leaks using your eyes and your sense of smell. - Repeat this a couple of times more. 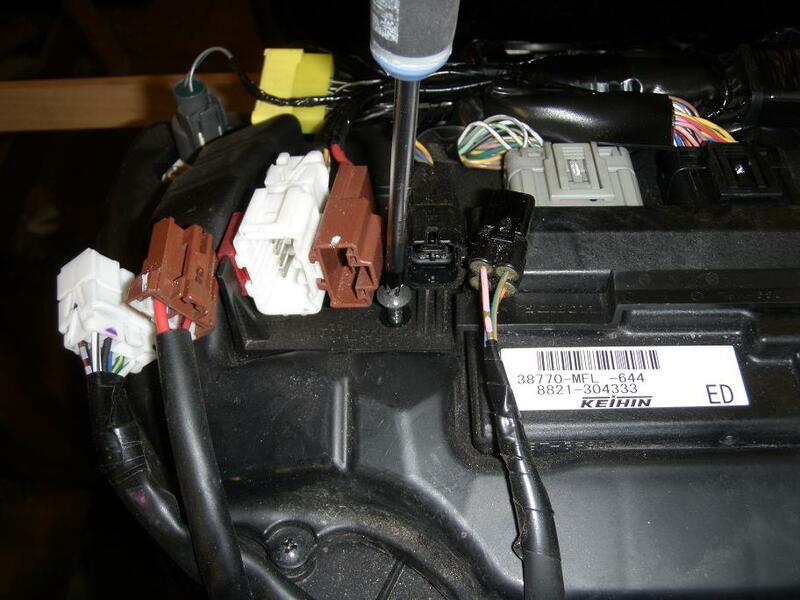 - Disconnect the battery again (we do not want to work on the bike while having power on the harness). - Install the air cleaner element. - Install the air cleaner upper cover (6 screws). 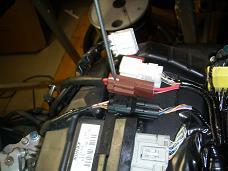 - Install ECM and setting plate (2 screws). 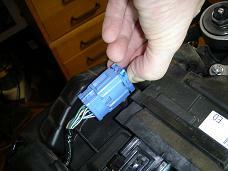 - Reconnect the connectors: 4 pin black, 2 pin brown, 8 pin white and 10 pin blue. - Install air cleaner cover (the soft fabric). 5 Lower the Fuel Tank.